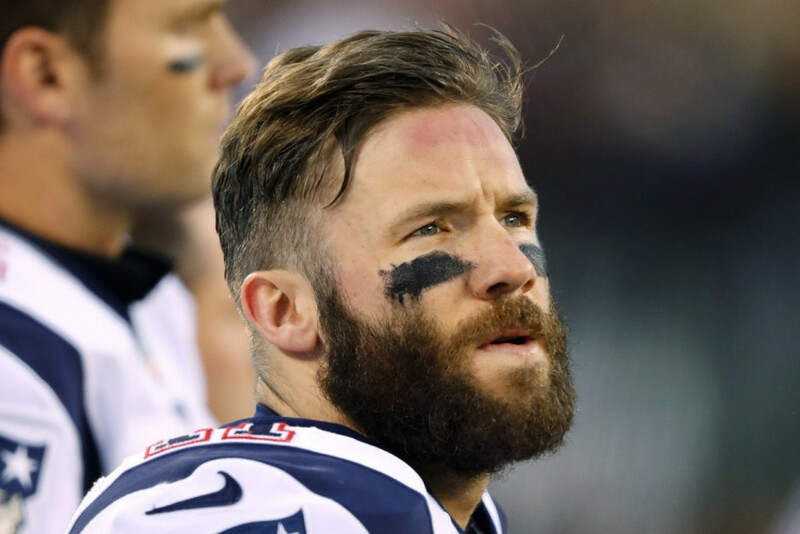 The Patriots star alerted authorities about a threatening Instagram comment. By Spencer Buell·	 4/4/2018, 4:43 p.m. Apparently, Julian Edelman is a hero. The Patriots star reportedly intervened late last month after a threatening comment was posted to his Instagram account, and he may have prevented a school shooting by doing so. According to a report in the New York Times, the wide receiver was alerted in a direct message on the app that someone had written an alarming comment under one of his photos. “I’m going to shoot my school up watch the news,” the comment read. So Edelman’s assistant contacted police, who were able to determine the identity of the Instagram user and rushed to a home in Port Huron, Michigan. Inside, police met a 14-year-old boy, who admitted to writing the message. They also found two rifles belonging to his mother in the home. The middle schooler, who is not being identified, has been taken into custody and has had one court date. He’s charged with making a false report of a threat of terrorism. Edelman, who is a dad, tells the Times he’s relieved police were able to act on the tip and possibly prevent a tragedy. Now he says he’s hoping to identify the anonymous Instagram user who tipped him off. “He’s the real hero,” Edelman tells the paper.